Security PS Blog: Why Use the NIST CSF? 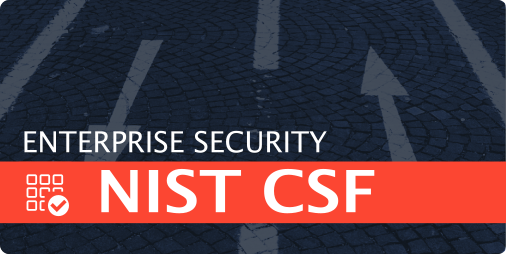 Why Use the NIST CSF? You may have heard about a recent framework that has been gaining traction since its inception a few years ago called the Cybersecurity Framework (CSF). If not, I’ll give you a quick recap. This framework was drafted by the Commerce Department’s National Institute of Standards and Technology (NIST) back in February of 2013 from an Executive Order by the President entitled “Improving Critical Infrastructure Cybersecurity”. Following almost a year of collaborative discussions with thousands of security professionals across both public and private sectors, a framework was developed that is comprised of guidelines that can help organizations identify, implement, and improve cybersecurity practices as well as their overall security program as a whole. The framework is architected to be a continuous process to grow in sync with the constant changes in cybersecurity threats, processes and technologies. It was also designed to be revised periodically to incorporate lessons learned and industry feedback. At its core, the principles of the framework conceives cybersecurity as a progressive, continuous lifecycle that identifies and responds to threats, vulnerabilities, and solutions. The CSF provides the channels to allow organizations to determine their current cybersecurity state and capabilities, set goals for a desired outcomes, and establish a plan for improving and maintaining the overall security program. The framework itself is available here. So, what makes the CSF different from NIST 800-53 or ISO 27001/27002? By definition, these are detailed regulatory documents which provide requirements for adhering to specific control standards. In comparison, the CSF provides a high-level framework for how to access and prioritize functions within a security program from these existing standards. Due to it’s high-level scope and common structure, the CSF is also much more suitable for those with non-technical backgrounds and C-Level executives. It was created with the realization in mind that many of the required controls and processes for a security program have already been created and duplicated across these standards. In effect, it provides the mechanisms for a common structure within the industry that allows for any organization to drive growth and maturity of cybersecurity practices, and to shift from a reactive state to a proactive state of risk management. For organizations that are Federally regulated, the CSF may be of particular importance. Many top level Directors have expressed that an industry driven cybersecurity model is much more preferred over prescriptive regulatory approaches from the Federal government. Even though the CSF is currently voluntary for both public and private sectors, it is important to realize that with a high degree of probability, this will not be the case in the future. Discussions have already taken place amongst Federal regulators and Congressional lawmakers that this voluntary framework should be used as the baseline for best security practices, including assessing legal or regulatory exposure and for insurance purposes. If these types of suggestions become reality, implementing the CSF now could allow organizations much more flexibility and cost savings in how it is implemented. Flexibility in using any existing security standards, such as HiTrust, 800-53, ISO 27002, etc. Though it is difficult to express all the possible benefits in this short post, Security PS highly recommends to any organization that they take a good look at the CSF and consider their options for implementation and future laws that influence its use. If you have more questions, please consider contacting us for additional details. We’ll be glad to assist you and your organization.